After achieving great success in hydro power development Satluj Jal Vidyut Nigam Limited (SJVN) is now venturing in the field of Power Generation through Wind. SJVN has identified a site in village Khirvire of Ahmednagar District in Maharashtra for its 47.6 MW Wind Power project. This project will have 56 turbine units of 850 kW each and spread in an area of 51.3 hectare. The project will have an Annual Energy Generation of 85.65 MU at a Feed in Tariff of `5.67per kWh. The project will also have a 132 kV Transmission Line from Akole 132 kV Grid SubStation to 2 x 50 MVA, 33/132 kV Wind Farm Pooling Station connecting 33kV Line for Inter connecting the Grid, he told. As per the execution schedule, the project will be commissioned during May/June, 2013 while grid stabilization will be completed by August, 2013. 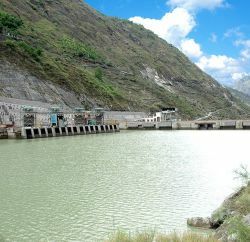 SJVN owns and operates India’s largest 1500 MW Nathpa Jhakri Hydro Power Station in Himachal Pradesh, while its 412 MW Rampur Hydro Electric Project was scheduled to be commissioned in 2013. SJVN is also implementing two more hydro electric projects in Himachal Pradesh, three in Uttrakhand, one in Nepal and two in Bhutan. SJVN is also mulling to foray into north eastern states and working on Survey & Investigations of four hydro power projects in Arunachal Pradesh. 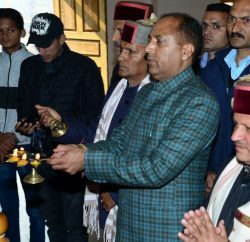 The Company official claimed that SJVN was likely to add 5000 MW to its capacity during the next five year plan. 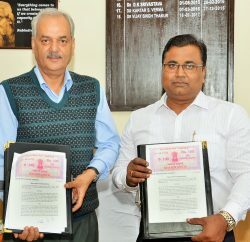 A Contract for setting up of the Wind Power Project at village Khirvire/Kombhalane, Distt. Ahmednagar, Maharashtra for a total capacity of 47.6 MW was awarded to M/s Gamesa Wind Turbine Pvt. Ltd., Chennai (A wholly owned subsidiary of Gamesa, Spain) in October, 2012. The project has a completion schedule of 8 months excluding period of two months for stabilization.